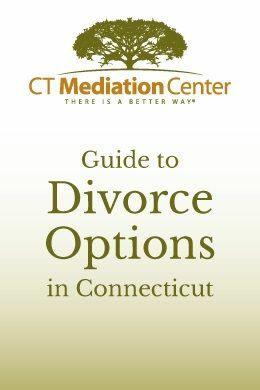 CT Mediation Center utilizes mediated divorce to help you reduce the cost and stress of a traditional litigated divorce. With a collaborative divorce, both parties agree to work out all issues and promise not to go to court or litigate. With this non-combative approach, both clients and counsel are compelled to seek a negotiated agreement that is fair, equitable and because it is obtained through negotiation, it is a sustainable and workable agreement. Parenting and custody coordination is a child-focused method of alternative dispute resolution, (meaning non-adversarial) used in minimal to high conflict child custody situations. A parenting coordinator is a neutral third-party mediator. They can be an attorney or psychologist with specialized training in mediation or parenting coordination. They help parents make better decisions concerning the parenting of their children.